Industry leaders identified the increasing capability of in-house legal teams as a major industry game changer at a lecture held at UTS earlier this month. According to Norton Rose Fulbright partner Nick Abrahams, clients are now taking a more in-house approach to keeping costs down. “I think it’s the fact that you’ve got these extraordinary in-house teams who are getting bigger and more sophisticated but also there’s a recalibration of the risk by clients, so clients are no longer thinking, ‘we really need to get external legal on this’,” he said. Tony O’Malley is at the forefront of the changing legal landscape as PwC legal services leader (Australia and Asia-Pac). “We’ve seen an intense focus on value and delivering with new efficiencies,” he said. O’Malley, former King & Wood Mallesons managing partner, joined PwC in April last year to “spearhead the firm's growth agenda in premium corporate advisory legal services”. “We’ve seen new brands and new platforms enter the market,” O’Malley said. But while lawyers have been long warned of a major and inevitable technological disruption, Abrahams doesn’t think too many lawyers are at high risk of losing their jobs to technology any time soon. “Until clients are robots, robots won’t be a complete solution to clients. Judges are not robots either, whatever else we say about judges,” he said. For King & Wood Mallesons managing partner (clients) Sharon Cook, globalisation is having the biggest impact on the industry and is particularly shaping young lawyers and graduates. 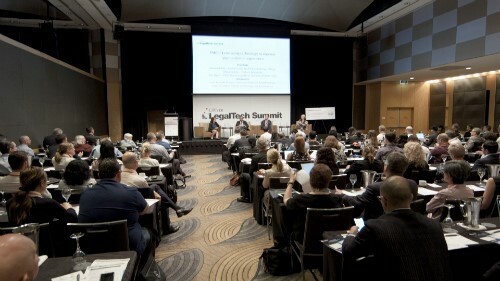 “We have a very complex market of law firms now which provide enormous choice for young lawyers as to where to go – a truly global firm, a sort of domestic firm which will of course do a lot of inbound and outbound work but only operates largely within the borders of Australia, and then the mid-sized firms that largely haven’t globalised and certainly haven’t entered into mergers with similar firms elsewhere,” Cook said. But she doesn’t think legal newbies will be so spoilt for choice for long. “I personally am of the view that law firms will fail,” she said, explaining that smaller firms will eventually have to merge in order to be able to keep up with offerings of the heavyweights. “There will be a rationalisation of the market and there will be many fewer firms and more larger firms,” she said.